The playoffs are here! After a grueling 162 (161 for some) games in 180 days, the MLB postseason is upon us. The season ended in an anti-climatical way, after there was serious potential for a bunch of crazy tiebreaker scenarios for the final playoff spots. But this postseason is sure to bring some drama. Can the Cubs break the 108-year curse? Can Big Papi retire on top? Can the Mets redeem their World Series loss from last season? One thing is for certain, we will not have a team win back-to-back championships as the Royals did not make the playoffs this season. Baltimore Orioles at Toronto Blue Jays: I’m taking the Orioles. The Blue Jays won the season series 10-9, and were 6-4 against the Orioles at home, but in a battle of these AL East rivals, I like the Orioles in this one. I like Chris Tillman (Orioles) over Marcus Stroman (Blue Jays) in this one. The Orioles line-up is batting a terrific .359 against Stroman this season, and I expect that success to continue in this game. San Francisco Giants at New York Mets: I’m taking the Giants. Orioles vs Texas Rangers: I’m taking the Rangers. The Rangers have been the best team in the American League seemingly all season long, and I don’t expect that to stop in the ALDS. Cleveland Indians vs Boston Red Sox: I’m taking the Red Sox. Strength against strength in this match-up as the Red Sox take the AL’s best line-up against the Indians’ 2nd ranked pitching (based on ERA in the AL). The Red Sox pitching is no slouch either, ranked 4th in the AL while the Indians hitting is ranked 4th in the AL as well. On paper, these teams should put up a great series, but I just can’t go against the Red Sox line-up. Giants vs Chicago Cubs: I’m taking the Cubs. The Cubs pitching is incredible. Their team ERA was 3.15 for the season, best in the entire MLB by 0.36. They are going to have two possible Cy Young winners for this season (Jon Lester and Kyle Hendricks… although I think Max Scherzer should win the award), and last year’s Cy Young winner, Jake Arrieta start this series. The Giants are not going to be able to use their best pitcher until Game 3, and although Johnny Cueto has been solid this season (he will be mentioned in the Cy Young race), the Cubs are too deep to lose this series. 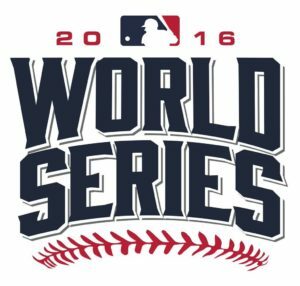 Los Angeles Dodgers vs Washington Nationals: I’m taking the Nationals. Another great match-up on paper. Despite the fact that the Dodgers dominated the season series 5-1, I like the Nationals to make the adjustments and win this series. Clayton Kershaw is a different pitcher in the playoffs, and I favor the rest of the Nationals rotation over the Dodgers. Mark Melancon was an excellent trade-deadline pick-up for the Nationals and I think he will pay dividends in this series. Rangers vs Red Sox: I’m taking the Red Sox. Did I mention that Red Sox line-up? The Rangers weakness all season has been pitching – ranked 13th (out of 15) in the AL this season. That doesn’t bode well for them in this series. Cubs vs Nationals: I’m taking the Cubs. This will be a good pitching series. The Nationals had the second best team ERA in the MLB and both teams had the same team batting average (.256). I’m taking the Cubs since they have the home-field advantage. Red Sox vs Cubs: I’m taking the Red Sox in 7. The destiny World Series. Can Theo Epstein break the two longest MLB curses in his lifetime? He constructed the Red Sox World Series team in 2004 and he has now constructed this Cubs team with its best chance to win the World Series in a long time. Can the Red Sox complete a destiny season and send Big Papi out in style? Fielding: Defense wins championships. The Red Sox had the 5th best fielding percentage, while the Cubs were ranked 21st. Home Field: Despite the Cubs having the better record, the AL won the All-Star game (stupid rule, I know), so the Red Sox will have home field advantage, and I think that will have an impact on this series.